Vein problems are very common and have a wide range of symptoms. Symptoms can range from leg pain or leg swelling to the skin starting to darken and form a wound on your leg. Please go to our homepage and click on the symptoms for more information about each one. Each symptom comes with it's own set of problems and are all caused by the same medical condition. The reason you have these symptoms is because of Venous Reflux (Venous Insufficiency). Venous reflux is a medical condition where blood within the veins no longer flows in one direction, against gravity, towards the heart. 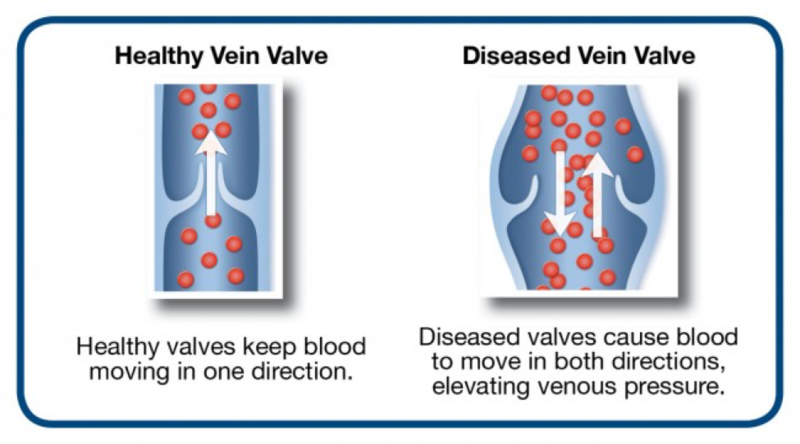 Venous reflux occurs when the one-way valves and vein walls become damaged or weakened allowing blood to flow the reverse direction back towards the ankle and feet. Over time this causes pressure to build within the veins causing symptoms such as: varicose veins, leg and ankle swelling, leg pain, night cramps, restless legs, and many other symptoms that can ultimately lead to skin breakdown, skin darkening or ulcers/wounds on the legs. Venous reflux is a progressive disease that gets worse over time if left untreated. This is a very common medical condition that is easily treatable and is covered by most insurance companies, including Medicare and Tricare. Ask us how! Venous reflux is a very common medical condition. In fact, vein problems is 2 times more common than heart disease and 5 times more common than arterial disease. There are an estimated 50+ million Americans who suffer from venous reflux. An estimated 40% of women and 20% of men will experience the symptoms of venous reflux if left untreated. Of these, 20-25% of women and 10-15% of men will have visible veins including skin darkening, open leg wounds, spider veins and varicose veins. Vein problems are often under-diagnosed or misdiagnosed, and many patients suffering from venous reflux are often told there is nothing that can be done to relieve their symptoms other than wearing compression stockings or worse, vein stripping. Today, you no longer need to suffer from vein problems. This is a very common medical condition that is easily treatable and is covered by most insurance companies including Medicare and TriCare. Today's treatments are much more elegant and are performed right here, in our office. Our treatments are an, in office out patient procedure and most of our patients are up and walking right after treatments and drive themselves home. We can help to relieve you of your symptoms with little to no pain or downtime. Wearing compression stockings or compression socks can reduce symptoms of Venous Reflux (vein problems), but it will not fix the underlining issue in your legs. Many insurance carriers require that you try medical grade compression socks (20-30mmHg) for 6-12 weeks before any treatment will be approved. This compression sock trial is a requirement from your insurance company and this is not something that we can control or adjust. If you are thinking to yourself, where do I even find these compression socks? We sell a limited selection of socks in our office or you can try looking on Amazon.com. They have a large selection of compression socks in fun colors that meet the 20-30mmHg compression requirement. Hey, if you are going to wear compression socks, you might as well have some fun right?! The way I want you to think about these compression socks is a lot like wearing glasses if you have bad eyes. You wear the glasses and you see better while you have them on. But when you take them off, you still have the same cruddy eye sight. The same thing happens with the veins. You wear compression, and this can help support blood flow and improve blood flow in the legs, but it’s not treating the underlying problem. Once you have completed this compression trial that is required by your insurance company, most patients then choose to move forward with treatment. The goal of treatment is to make improvements permanent. There are many benefits to wearing compression socks. Even if you don’t have any vein problems, you can still benefit from wearing compression socks because they are good at preventing problems. For example, we recommend wearing compression socks on any airline flight and long car rides over 2 hours. This helps prevent blood clots from forming and causing serious health conditions. The compression in the socks improves the blood flow back to the heart and can help reduce swelling. For this reason, even pregnant women can benefit from wearing compression socks. Unfortunately, there is not much you can do to completely prevent Venous Reflux (vein problems). But the best way of prevention would include maintaining a healthy weight, daily exercise including calf raises and pedal pumps (moving your foot like you are pushing a gas/break pedal), wearing compression socks to help support the vein valves, elevating the legs while sitting, and avoiding prolonged sitting or standing. Walking, swimming, yoga, losing weight, quitting smoking, etc. can help possibly slow the progress of venous reflux and help reduce symptoms. All of our vein treatments are always performed in our office and always by a doctor who is a certified Vein Specialist. This Radiofrequency Ablation vein treatment is covered by most insurance companies, including Medicare and TriCare. How is the treatment done? The doctor will numb the skin surrounding the vein that we will be treating in your leg. We are not stingy when it comes to numbing medicine! 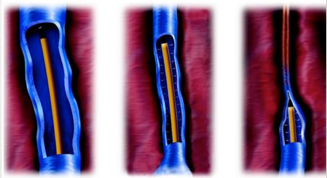 Then, through a small nick in the skin, an FDA approved catheter (ClosureFAST®) is inserted into the vein. This catheter is used to close the malfunctioning problematic vein. What does it do? The catheter uses heat to close the vein. The vein will start to spasm once the heat is applied and the vein will say "I don't like it" and the vein will literally close and collapse after the treatment. You should not feel the treatment because of the numbing medicine. Once this heat energy is delivered to the vein, it is sealed shut. The result mimics that of Endovenous Laser Ablation because it closes down the problematic vein. What happens to that vein after we close it? The body will, over time, absorb that vein back in the body, and it should not come back. That vein should be closed for good. Well, what happens to the blood that was going through that vein? It gets rerouted to nearby healthy veins. You have a lot of veins in your legs that can easily take over the blood flow from the malfunctioning vein. Think of it this way, your problematic vein wasn't helping you. It was hurting you. It was causing life limiting, sometimes debilitating, symptoms. We then fix the veins and your symptoms improve, or better yet, are gone completely. These treatments usually take about 30-45 minutes to complete with success rates greater than 95% and very low recurrence rates. Recovery time? Most people see improvement of their symptoms in a matter of weeks after their last treatment. You can resume normal activities almost immediately following treatment. We don't recommend immediate power lifting or marathon running, but how many of us are doing that anyway? You can even drive yourself home after treatment. We will wrap your leg after each treatment so we recommend that you wear loose fitting pants on that day. We would like you to wear these wraps for 24 hours and then replace them with compression socks or reuse the wraps for 5 days following each procedure. Do I need to stop my medications? You do not need to stop any medications including blood thinners and diabetes medication. These medications do not affect treatment at all and should be taken according to your doctor's recommendation. The VenaSeal™ treatment is the latest and most advanced option to treat vein problems in the legs. 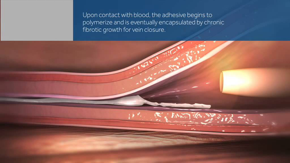 Much like the above treatment using Radiofrequency Ablation, VenaSeal™ also closes the malfunctioning vein but instead of using heat energy, it uses patented medical adhesive "glue" to close the vein. It delivers a small amount of a specially formulated medical adhesive inside the problematic vein. The adhesive seals the vein shut immediately and the blood is rerouted though nearby healthy veins. You will leave with only a bandaid and you do not need to wear compression socks or wraps after your procedure. Currently the VenaSeal procedure is NOT covered by insurance. This treatment is for malfunctioning veins that are too small to be safely treated with Radiofrequency Ablation or VenaSeal. Under ultrasound we can see these small veins and we inject them with a medicine that causes the vein to spasm and then collapse and seal shut. This treatment is often used in conjunction with the other vein treatments to get a more effective result. 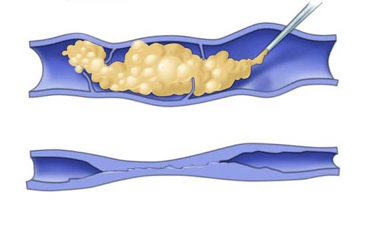 That's why this is called a "chemical ablation" or the technical term "sclerotherapy." This treatment is covered by most insurance companies including Medicare and TriCare. Also referred to as Ambulatory Phlebectomy, a Microphlebectomy is a safe and effective in-office procedure that is used to remove varicose veins through tiny incisions using local anesthetic. These incisions are so small that no sutures or stiches are required! This is not "vein stripping" even though we are physically removing varicose veins. Once removed, these varicose veins are likely to never return. The advantage of microphlebectomy is that it is often a “one-and-done” procedure. Microphlebectomy is recommended for the treatment of larger varicose veins and is often used in conjunction with endovenous thermal ablation or sclerotherapy, resulting in more efficient treatment. This treatment is covered by most insurance companies including Medicare and TriCare IF you are experiencing medical symptoms along with your varicose veins. If you simply "don't like how they look" and you have varicose veins, they can be considered "cosmetic only" and might not be covered by insurance. Please contact our office if you are unsure if your varicose veins are a medical or a cosmetic concern. Most of the time, these varicose veins are a medical condition that is covered by most insurance companies. All visible veins are not "just cosmetic" concerns. View a list of symptoms that are related to Venous Reflux (vein problems) that can be effectively treated by Dr. Eidson, a Board Certified Vein Specialist. 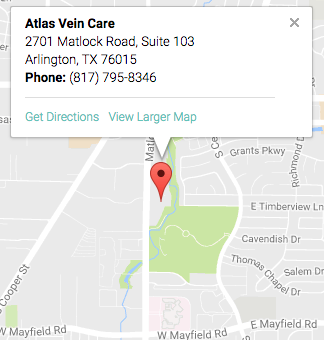 If you have any questions about the services we offer for our vein treatments, leg pain or any leg concerns in Arlington, Texas, please contact our office.